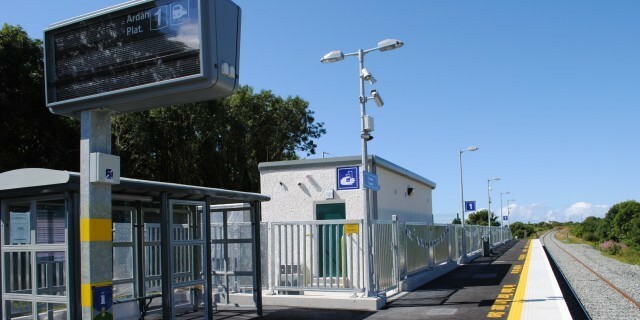 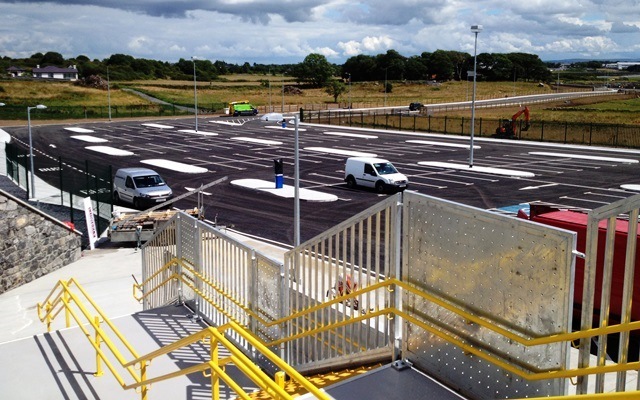 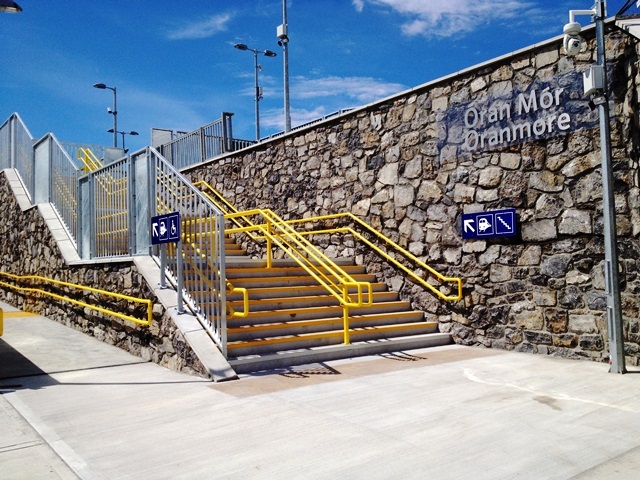 The Oranmore Parkway Station is a 174m long single passenger platform constructed in the townland of Garraun South along the existing Dublin to Galway Line. 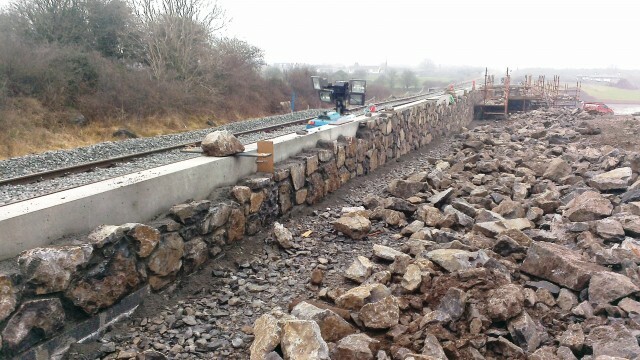 Due to the level differences between the platform and existing ground level a 200m contractor designed stone clad RC wall was constructed to heights up to 5m. 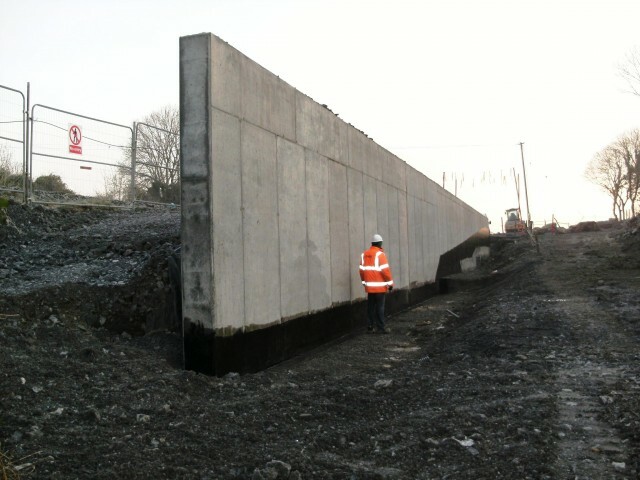 The area behind this retaining wall was filled with Cl804 Type B granular fill and a RC foundation was formed for the precast Z-units to be installed, which formed the platform structure. 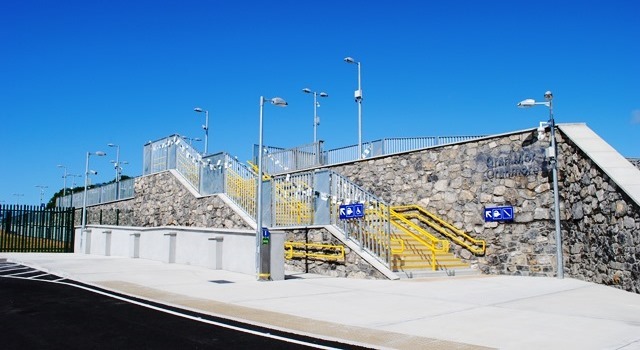 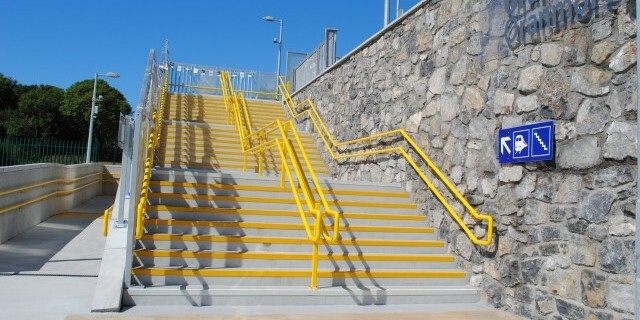 The Retaining wall was clad with a limestone finish and a stairs constructed to link platform and car park below. 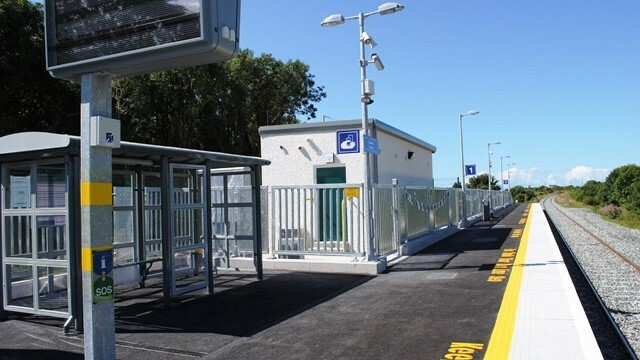 In addition to the construction of the platform, this project included construction of the TER room, installation of the services and drainage networks, fencing works as well as substantial Mechanical & Electrical works including, CCTV, Public Address & Lighting systems installation. 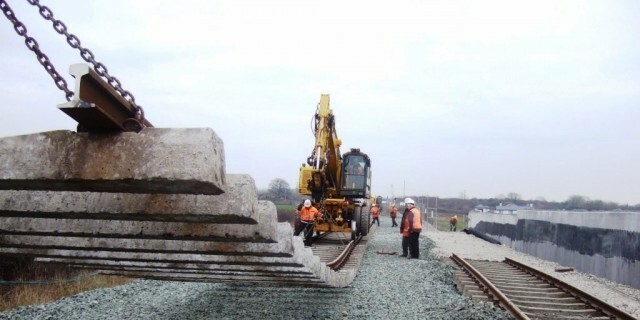 Due to changing levels along the rail line, the adjacent level crossing to the platform also required modification and upgrading works. 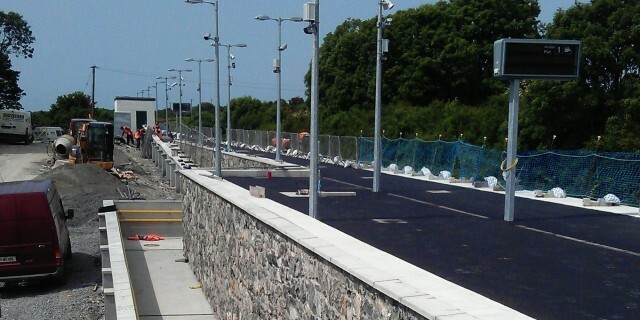 Resurfacing works to Level Crossing XG167 were carried out in two phases to facilitate the changing of track levels in Oranmore for the new railway station and tamping of the line.